Learn about the CogAT Quantitative Battery, which is made up of the following question types: Number Analogies, Number Puzzles, and Number Series. My 3rd grade daughter was recommended to take the CogAT. We loved the explanations as they helped her to understand the material. The packs are a helpful tool and less expensive than a private tutor. The CogAT is a test that is comprised of three different batteries: verbal, non-verbal, and quantitative battery. The quantitative battery assesses students’ quantitative reasoning and problem solving abilities. 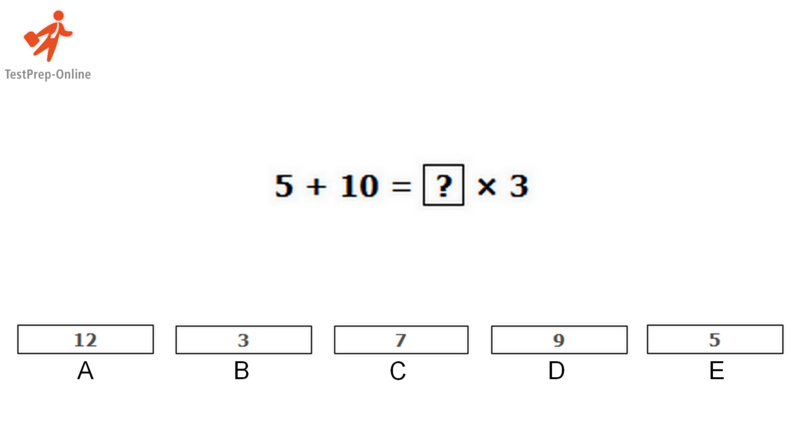 This section also evaluates the students’ level of abstract reasoning. The CogAT Quantitative Battery is comprised of three subtests: Number Series, Number Puzzles, and Number Analogies. These three subtests combined make up the CogAT Quantitative score. You can use our CogAT practice pack to prepare for all the batteries of the test. Having seen the different types of questions will make your child more confident the day of the test. Furthermore, your child can learn a lot from our array of questions, comprehensive study guides, and detailed explanations. If anything is unclear, you can contact us with any question about the test or our pack and we will try to assist you and accompany you throughout the development of your child. Learn more about the different types of CogAT questions by visiting any of the links below. In addition to this, you can check our site for more information about the CogAT, including the new CogAT Screening Form, scoring methods, and more. Our new equation is: (5 + 10) ÷ 3 = ? Therefore, E is the correct answer. The correct answer is A. 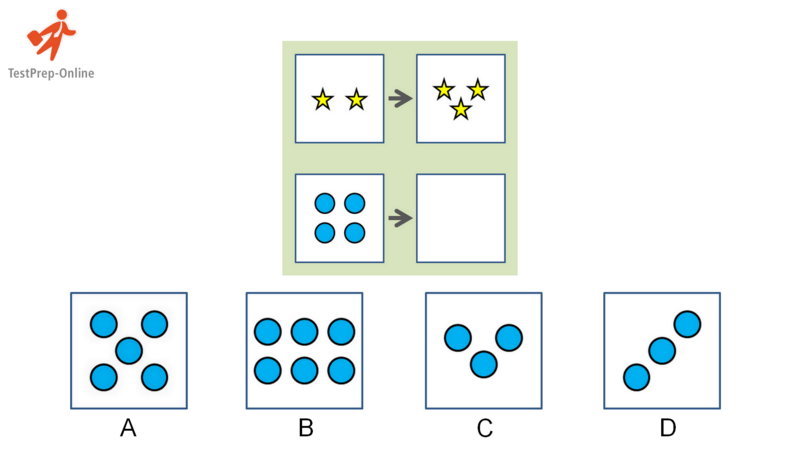 Look at the top row, in the left box we have 2 stars in the right box we have 3 stars. 3 is greater than 2 by 1 (2 + 1 = 3). In the bottom row we should have the same relationship. In the left box we have 4 circles, in the right box we should have 1 more circle. 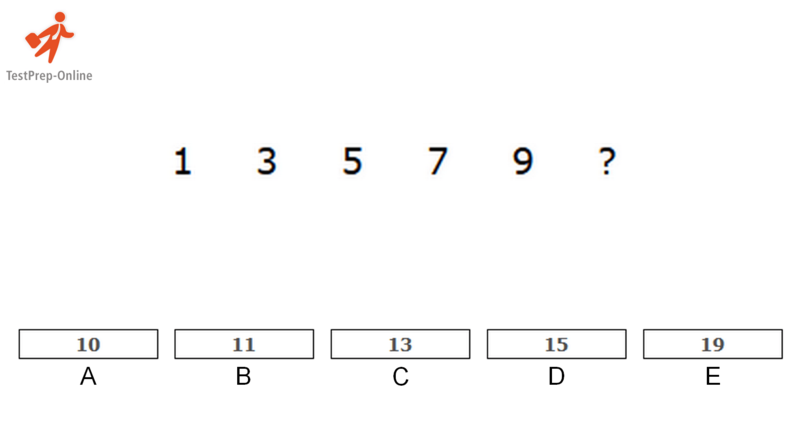 Therefore, the answer choice with 5 (A) circles is the correct answer. Click here for free CogAT sample questions (for 3rd and 4th grade).